The series that began with the book Danielle Paige, author of Dorothy Must Die, called "inventive, gorgeous, and epic" comes to its thrilling conclusion. The war that has been brewing for centuries is finally imminent. But the scales are tipped. Echo might hold the power to face the darkness within the Dragon Prince, but she has far to go to master its overwhelming force. And now she's plagued by uncertainty. With Caius no longer by her side, she doesn't know if she can do it alone. Is she strong enough to save her home and the people she loves? It had been so hungry for so long. Hungry and cold, wandering the abyss, alone and unmoored. A solitary shadow lost in a dark sea. No, It had not been hungry. Hungry was too gentle a word for what It had felt. It had been ravenous. There was a great, yawning chasm inside It that ached to be filled. But there was nothing with which It could soothe Its hunger, slake Its thirst. There was just the nothing in which It was suspended. Trapped. Caged. It was the only thing that existed, adrift in all that nothing. It, and the bright shining Light of Its seal. The bars of Its cage glowed with a warmth upon which It wanted to burn Itself. But try as It might, It could not reach the light. The light remained, like an end to Its long torment, out of Its grasp. Until one day, the Light went out. It did not understand where the Light had gone, but It felt a release the moment the Light disappeared. Like air rushing into a vacuum. The Light had departed and the Darkness inched forward, through the void, waiting to be burned. Waiting for the Light to reappear, casting It back into the solace of the shadows, but there was nothing. Nothing. Except a door, left ajar in the Light's wake. It rushed through the opening left in the absence of the Light and broke free of the cage It had known for so long that It had forgotten there was anything else in the world. And, oh, what a world it was. It had forgotten what it felt like to be free, to be able to soar across the skies, as unstoppable as a storm. Like a wild beast It fed on the first thing It found, a village filled with life and love. It devoured that place, shrouding it in darkness, but the meal was a small one, which only served to whet Its appetite for more. There were lights and sounds and people. The people It favored so. Their screams were delicious, coating the insides of Its empty belly, easing the growling ache that had taken up permanent residence there. It had been so empty, but now . . . now, It could feast. It gorged Itself on the things It found, yet still, It felt a tug. The Light was not gone. Not truly. Not completely. The Light was there, somewhere, in the world—the great, wide world, with its sumptuous offerings and delectable woes— and It realized now what the Light had been. Not solely a cage—though it had been that—but a complement. A companion. They needed one another to exist. It had despised the Light. Hated it with every particle of Its being, and that hate had sustained It, but without the Light, there was no counterpoint to Its existence. No balance. And so It sought out the Light. Sniffed out where its presence was strongest. Through this world It floated, drawn to places where that other thing burned brightest. There, It planted Its seeds of sorrow, drank Its fill from the dead and dying. Another feast It had found, this one a familiar taste, so like the little beasts that had locked It away, all those eons ago. It took particular delight in the flavor of the suffering. The pain almost sated the hunger. Almost, but not quite. There was still something missing. Something vital. But try as It might, It could not tether Itself to the world. It did not belong. It was other, like the Light. But the Light had found a place to call home. A port at which to anchor. It had nothing. Nothing but a vague sense of self-awareness. Of the things that were It and not It. It wandered the world, as lost as a frightened child, until It heard her calling Its name. It had forgotten that It even had a name. 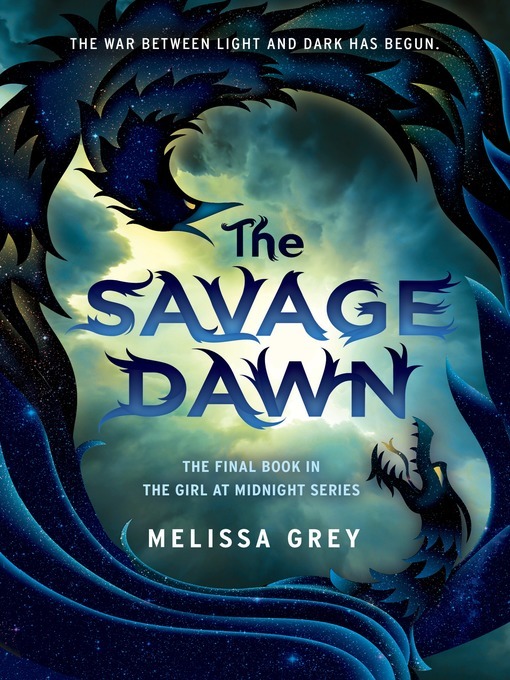 Melissa Grey was born and raised in New York City. She wrote her first short story at the age of twelve and hasn't stopped writing since. After earning a degree in fine arts at Yale University, she embarked on an adventure of global proportions and discovered a secret talent for navigating subway systems in just about any language. She works as a freelance journalist in New York City. She is the author of the Girl at Midnight series: The Girl at Midnight, The Shadow Hour, and The Savage Dawn. 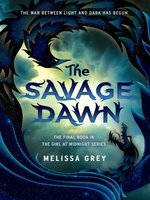 To learn more about Melissa, visit melissa-grey.com, follow @meligrey on Twitter, and look for melissagrey_ on Instagram.